While some Park Authority employees are dedicated to a single site, the Resource Management Division’s cultural resources staff can turn up just about anywhere. These folks are dedicated to preserving the past and provide help and support in a variety of ways to parks and properties throughout the county. For example, archaeologists conduct investigations before park development or other ground-disturbing activities to make sure resources are not harmed. The archaeologists have been at Ellanor C. Lawrence Park three times in recent months. First, they excavated to clear an area for storm water management near the Walney Visitor Center. Next, they cleared the alignment of a future drainage line at Middlegate. Most recently, the archaeologists conducted a Phase I identification survey at the future location of the Sully Woodlands Stewardship Education Center. That’s a survey through research and fieldwork to determine whether there are resources and where they are. The archaeologists identified one new archaeological site but determined that the small number of artifacts found were likely redeposited from up slope. So, they gave the go-ahead for development. Excavation work at Old Colchester. Archaeology’s main work is at Old Colchester, where excavations continue to reveal aspects of the colonial port town. Currently, there’s a mystery to solve. Walls should meet at 90 degrees, but a pair at Colchester do not. Archaeologists plan to open more area to see if they can figure out why one wall is at an awkward angle. They do know the structure dates to the late 18th century and is most likely part of what is depicted on Rochambeau’s 1782 map. Jean Baptiste Donatien de Vimeur, comte de Rochambeau, was commander in chief of the French expeditionary army during the American Revolution. You know you should keep an inventory of valuables in your house, and the Collections folks are invaluable at keeping that inventory for the Park Authority. The Collections Management Office conducts full inventories of the accessioned collections items at each site every three years on a rotating basis. Accessioning is the formal process of documentation for new items added to the agency’s collections. Sully Historic Site was inventoried last year and Colvin Run Mill the year before. Frying Pan Farm Park is being inventoried this year during the park’s slower winter months. Site staff help with the inventories. The inventories confirm the location of items and document their current condition with notes and photographs. All of this information is entered into the Collections Management database, Re:discovery. This keeps the Park Authority’s information up-to-date and searchable, which allows for better access to the collections. Collections also asks sites to allow it to see any potential media posts about items from the Permanent Collection so staff can review them for accuracy and copyright concerns before publication. The Park Authority has many objects on loan from other institutions with stipulations about their use, proper attribution or photography. For example, the Collections Office worked with Sully Historic Site on its social media posts about collections items for the historic site’s #tuesdaytakeover in December. Staff members with an eye on the past are working on the Resident Curator Program, too. Under this program, underused historic properties are being given new life by curators who restore the properties in exchange for rent-free living. Staff recently concluded excavations at the 18th-century Ash Grove house. They also provided historic photos of the renovation of Lahey Lost Valley from the 1940s that focused on the house windows to assist in repair efforts following vandalism. In addition, Archaeology and Collections folks work with the Public Information Office each month to share an item from the Park Authority’s collections with the public through the artiFACTS web page. You can follow the work of the County Archaeological Research Team on the C.A.R.T. Archaeology blog. 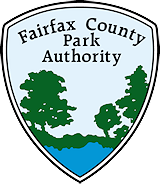 This entry was posted in Uncategorized on February 12, 2019 by Fairfax County Park Authority.